While every property will need immediate fire damage cleanup after suffering from a fire, each case is unique. In other words, one building may need different services than another, or a commercial building may require more work than an individual apartment. In addition to repairing the structure, personal items may also need to be restored, such as furniture, jewelry, artwork, clothing, etc. Here you can find a complete breakdown of the fire damage restoration services provided by ServiceMaster of North Texas so you know what to expect upon our arrival. Our technicians will review this checklist with you after the initial inspection of the property to inform you of the project scope, costs, and which items can and cannot be restored. You can then find the details of each procedure in this list to better understand what we do and why it is needed. Below you will find some information about the source of the fire as well as the type and extent of the damage. 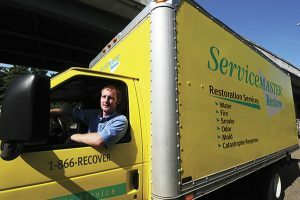 After determining what caused the damage, ServiceMaster of North Texas will develop a unique plan to efficiently restore the property structure to its original condition. However, if you had filed an insurance claim, the structure must be inspected first by your adjuster and will require their signature before we can proceed with the work. √ Furnace Malfunction: Appliances or machinery that produce heat, like the dryer, space heater, or furnace had malfunctioned and caught fire that allowed smoke and soot byproducts to cover household surfaces. √ Natural Fire: Outside vegetation, such as a tree (forest fire), shrub, or bush had caught fire and made contact with the property structure. The exterior of the property contains smoke residue. √ Protein Fire: The oven or stove had caught fire, resulting in a burnt food smell. There will usually be smoke or soot residue on these appliances. √ Complex Fire: Both natural and synthetic sources had caught fire. All interior and exterior surfaces contain smoke and soot residue as well as a strong smoke odor. Emergency corrosion control will be needed to restore at-risk materials. √ Board Up Services: The property is unstable and faces the risk of collapsing. Board up services are needed to stabilize its condition and prevent future damage. √ Disconnecting the Power: To safely inspect all circuits and electrical appliances, ServiceMaster of North Texas will turn off the power temporarily. √ Removing Debris: To work safely and effectively, all debris will be cleared away and removed from the damaged property. √ HVAC System Inspection: The duct filter will be replaced as well as 2 damp layers of cheesecloth placed over all air registers. The ducts will also be removed of soot and smoke byproducts. √ Water Damage Repair: There may be some water damage left from the firehose that will need to be treated. Our technicians will use advanced drying equipment and products to safely remove all excess water and dry out the structure. We will also inspect the flooring and furnishings to identify and remove any remaining moisture. √ Removal of Smoke Residue: Byproducts produced from the smoke and soot can quickly corrode household surfaces. ServiceMaster of North Texas will ensure that they are treated immediately, using professional products to effectively remove the smoke and soot without causing additional damage. The following surfaces will be treated: aluminum, glass, fixtures, marble, stone, appliances, tile and grout, and other non-porous surfaces. √ Removal of Food Items: Food can quickly become toxic if it comes into contact with any soot or smoke residue. 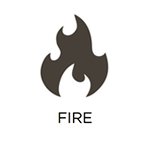 This means that all food items present during the fire will need to be replaced. We suggest that a detailed inventory be taken of each item disposed for insurance purposes. √ Odor Control: We will apply effective deodorizers, including hydroxyl, Nano-Carbon, and thermal fogging technology, as well as ozone generators to remove all lingering odor particles. √ Restoration of Clothing: All clothing needed right away should be taken to a restoration dry cleaner to remove all soot and smoke particles. ServiceMaster of North Texas will restore the remaining clothing items. √ Cleaning of Hard Surfaced Floors: All damaged hard floors will be cleaned with special products to remove all corrosion and tarnishing. They will then be covered during the structural restoration phase. 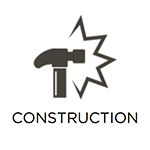 √ Structural Restoration: Our technicians will remove all smoke and soot residue from the other building materials. Porous building materials will be removed and replacements will be installed. All remaining surfaces will be effectively cleaned, deodorized, and polished. √ Cleaning of Furnishings: We will remove smoke and soot residue from the carpet, upholstery, and furniture using the hot water extraction method. This process has been proven to restore the materials to their original conditions. √ Separation of Damaged Items: If your personal items have been damaged during the fire, they will be separated into groups to be either restored or thrown away. Replacements will be ordered for all items thrown away. √ Cleaning of Household Surfaces: All drawers, cabinets, closets, and attics will be fully cleaned. The insulation will be removed and replaced if damaged. Otherwise each area will be sanitized, deodorized, and restored from soot and smoke. √ Laundry Restoration and Dry Cleaning: Some clothing types will be more fragile than others and will need to be restored professionally. A detailed inventory will be taken of each clothing item including articles of clothing, window coverings, bedding, etc. They will then be restored, stored at our facility, and delivered to your home or building when you are ready. Strong odors are common after properties, but will spread throughout the property. In order to remove effectively, special products and techniques will need to be used. Just keep in mind that multiple treatments, depending on the severity of the odor. √ Ozone: This oxidizing agent is produced by an ozone generator and designed to penetrate the odor particle and eliminate it from the inside. We just ask that all pets, plants, and children be relocated as the product will also eliminate the oxygen from the air. 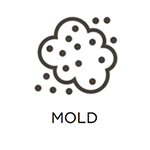 √ Air Scrubbbers: Our technicians will use HEPA (High-Efficiency Particulate Air) filtration to remove foul odors. This is a more efficient process used to clean and purify the air. √ Thermal Fogging: Odors will be neutralized using this safe deodorizer. All children, pets, and plants must also be relocated during this process. √ OdorKlenz Technology: This process involves OdorKlenz air filters in air scrubbers and is more eco-friendly when removing odor particles. This is also safe to use around pets, plants, and children. √ ServiceMaster of North Texas will use professional products and equipment to restore a variety of contents including upholstery, antiques, knick-knacks, furniture, and other items. 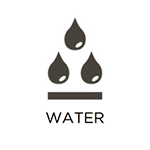 √ Hand Washing and Drying of Each Item: When possible, each item will be cleaned and dried professionally by hand. √ Ultrasonic cleaning: Our technicians will use Ultrasonic tanks to clean a variety of items including blinds, small items, and collectibles. 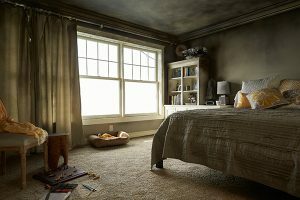 √ Upholstery and Furniture Restoration: Professional products, equipment, and techniques will be used to remove smoke, soot, and odor particles from the porous materials. If you have any questions regarding this checklist or other services, you can check out our fire damage FAQ page for answers to common questions. You can also contact ServiceMaster of North Texas directly at (972) 362-0999 and we’d be happy to answer any questions that pertain to your specific situation.